No one denies that technology has a central role to play in all of today’s businesses. But everyone also agrees that managing technology is a time and labour-intensive effort that often drains resources. And when a tech issue does inevitably arrive, it disrupts operations in serious ways. Everyone is attempting to avoid tech turbulence, but what is the solution – spend more money, rely on fewer technologies, hire more IT staff? It turns out the most universal solution is simply to rely on the cloud for as much IT infrastructure as possible. Why moving to the cloud is the best solution? Because it mainly makes a good business sense. Every business has three main goals- increased revenue, decreased costs and increased customer satisfaction. Moving to a cloud based solution can help the firm to achieve these goals. The cloud serves as a shared platform capable of housing more of your applications and hardware. Rather than relying on a patchwork of applications and add-ons that are barely interoperable, companies can move to the cloud and find all-in-one solutions. The overall size of the IT infrastructure shrinks making it easier to manage, monitor, maintain, and repair. If your business has a fluctuating bandwidth demands, then cloud based services offer you the added advantage. You can avoid the tech turbulence at a greater level as cloud based services offer you greater flexibility. Scaling down the operations up or down becomes easy and gives you the needed advantage over the competitors. Most of the larger organizations have disaster recovery in place. Smaller organizations find it difficult to deploy due to added cost and expertise required. But now cloud based services are helping such organizations for disaster recovery by implementing cloud based backup and recovery solutions. Such solutions help in saving time, large investments and the amount spent on the required expertise. Most IT teams spend a significant amount of time simply updating and patching various systems. But with something like cloud ERP software that basic maintenance is handled for you by the cloud provider. That frees your IT professionals to focus on projects that make your IT stronger, smarter, and speedier. Since they no longer must dedicate hours to maintenance, they can apply their experience and expertise to making your IT valuable to the fullest. Cloud service providers are responsible for keeping their services as up to date as possible. You don’t have to worry about the updating part. The cloud based service providers are responsible for timely rolling out of software updates. If you rely on applications housed in the cloud, they are always up-to-date and enhanced with the latest features. The kinds of issues that arise when applications are left to get old and outdated are never a concern in the cloud. Unless you have invested heavily in cyber security, your data is at risk. And if a breach does occur, the consequences range from bad to terrible. The cloud is designed to be as secure as it can be. And the security measures in place are being constantly updated and enhanced by a dedicated team. If you are worried about the threat of hackers but unsure how to defend your data, the first step is to move it to the cloud. Also, you do not have to worry constantly about losing your laptop which has your business information. As all the data is stored on the cloud and not on any hardware or machine, accessing the information from anywhere becomes easy. Cloud services also provide you with the additional advantage of remotely wiping off the data. In case where you need to apply it, you can do it easily and save the breach of data. Moving to cloud based services gives you the advantage of instant deployment. These solutions are pre-configured, and service providers provide services immediately upon order. So, building a robust application and securely delivering it via the web, mobile, or desktop becomes quite easy. You do not need the complex IT infrastructure for adding new users and projects. Even if you have your business scattered at a different place, accessing important tasks is no longer a dream. Your team can sit at different places and still be able to access, edit and share documents anytime and from anywhere. 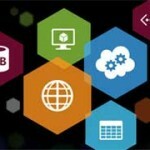 Cloud based services come with solutions like cloud-based workflow and file sharing apps. This helps to make updates in real time. Moving to the cloud means avoiding the restriction of working from a single place. You just need the internet connection to start working. This makes the life of the employees easy. Employers can offer flexible working options to them as they do not need to be strictly present at one place to work. When it comes to IT, success can be your worst enemy. The tools you and your team rely on must be scaled and adapted as your company begins to grow. Unfortunately, scaling an infrastructure up or down is not an easy, economical, or accommodating process. The cloud offers almost limitless scalability and the opportunity to add or subtract resources almost instantaneously. That way you never must deal with the friction that occurs when your IT needs are a mismatch for your IT resources. When you move to cloud based technology, you equip yourself with enterprise-class technology. This gives a boost for all firms to expand themselves and do better. You incur a huge capital expense when you run your own server. This comes with added costs to your firm. But in cloud based services financing the capital requirements is not your problem. Your cost of hardware maintenance is cut down to zero when you deploy a cloud based solution. The setup and management of such solutions is easy and does not take your entire time. Paying for the required subscription is the only thing left for you to do. Think of all the hiccups that occur at the average office over the course of a year. The power goes out during a major storm; The sprinklers are accidentally discharged; Burglars make off with expensive equipment. Any one of these incidents puts both your hardware and the data inside it at risk if that hardware is housed on site. The cloud is the easy way to protect your most important assets from the unexpected and unavoidable. When you run your own servers, and if they fail, you need to buy more hardware. In some scenarios, you may have to duplicate everything. Having spare hardware lying idle proves to be an expensive route. But when you opt for cloud based solutions you do not have to deal with the redundancy requirement. You can enjoy the economies of scale as clouds have several locations for their data centres. Your data is mirrored across at least two data centres. The costs of cloud solutions are much more flexible than the traditional methods. In case of traditional methods, an IT firm needs to buy the capacity which is sufficient for the peak times. As a result of this, it sits idle when such high capacity is not required. Companies only need to pay for server and infrastructure capacity as and when it is needed. Capacity can be increased or decreased according to the requirements of high and low peaks. When you move to cloud based solution, you do your part for the environment too. The carbon footprints are considerably reduced as these services do not use much energy. You will be surprised to know that cloud service uses less energy. Having your own data centre means significant energy consumption. But with cloud based solution, you can easily scale your server capacity up or down and use very less energy in doing so. This is how you save energy and do a good deed for the environment. There are numerous answers to the question- why move to a cloud based solution? Moving to the cloud based solution can mean endless technology improvements for your business. Organizations can avoid tech turbulence and enjoy benefits of competitive advantage, higher flexibility and scalability and optimized performance. The cloud undeniably makes IT easier. But it also makes it cheaper, easier to use, and more powerful. That is why the cloud is quickly becoming the only acceptable option for all IT. If you want your next tech initiative to start as a success, make sure it originates from the cloud. So, get the cloud solution for your business and avoid tech turbulence by saving your business costs, increasing your revenue. 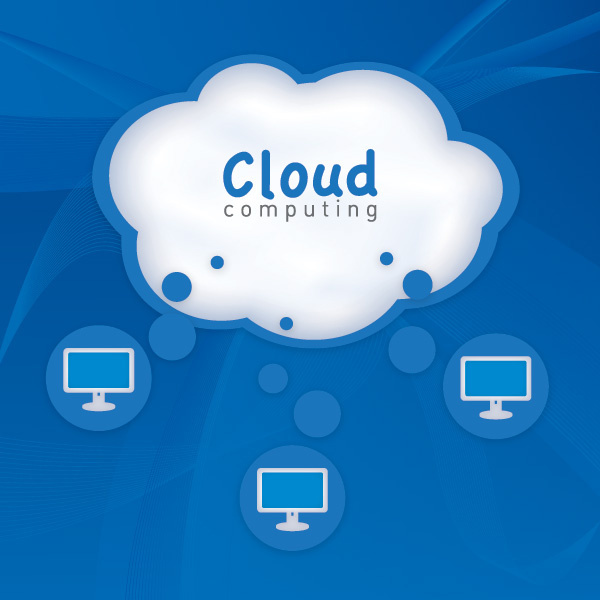 Very helpful information mentioned above about Cloud Technology ….Really Informative Post…! !